Chemical agents such as solvents or hydrocarbons may have multiple effects on many different body systems. Solvents are ubiquitous at hazardous waste sites; therefore, there is a good chance that workers handling hazardous waste will be exposed to one or more solvents. For many of these agents, the adverse effect is seen relatively soon, so the cause of the effect is identifiable; with some carcinogenic agents that may cause cancer years later, the link between the agent and the disease is less clear. When workers handle mixtures of solvents, the etiology of the disease may be difficult to determine. In some cases, epidemiologic studies provide information on the etiology of the disease. Organic chemicals can cause many different adverse health effects. Solvents or hydrocarbons present at a site may cause specific symptoms such as dizziness, eczema, and chloracne. One may see respiratory tract irritation from inhalation, or skin irritation from skin contact. Therefore, the route of exposure determines, to some extent, the chemical's effect and site of action. Skin diseases can be reduced by designing equipment that reduces skin contact. Designs should eliminate the need for manual contact with material and avoid equipment that unnecessarily heats, agitates, or stirs a material. However, if engineering precautions such as local exhaust ventilation are implemented, workers should be adequately protected. For inhalation hazards such as air sparging of contaminated soil, engineering solutions may include ventilation of the off-gases. When engineering control methods fail to reduce exposures to below the OSHA PEL, workers must wear personal protective equipment. OSHA requires the use of properly fitted respirators only when an engineering solution is being developed or if all other engineering or administrative controls fail. In addition to inhalation hazards, diseases occur when workers ingest hydrocarbons, metals, and other agents. Likely times include breaks when workers eat, drink, or smoke. Engineers should design facilities with break rooms or areas that are separated from the workplace by a washing station and some means of preventing dust, fumes, or mist from being carried by convection currents into the break area. Besides the organic agents posing ingestion hazards, some metallic agents can pose ingestion or skin contact hazards; examples are silver, arsenic, beryllium, cadmium, chromium, mercury, nickel, lead, selenium, tin, and thallium. In addition, insecticides, herbicides, and pesticides pose health hazards from food contamination. Workers handling incompatible substances have risks in addition to the potential toxicity. Incompatible substances should be stored far enough apart to eliminate the hazard of accidental mixing. Incompatible substances are those that, when mixed, react violently or evolve toxic vapors or gases, or in combination become hazardous by reason of toxicity, oxidizing power, flammability, explosiveness, or other properties. These chemicals should be stored in chemically compatible containers, and the location chosen to prevent accidental damage to the container, for instance, avoiding high-temperature areas. Improper storage can lead to the evolution of toxic gases to which employees can be exposed when they open the container. Some emerging hazardous waste treatment processes such as reverse osmosis may potentially concentrate the hazardous material. Concentrated hazardous material poses health risks, and if improperly handled there is an increased risk of overexposure to the workers. In general, the more concentrated the material, the smaller the quantity necessary for overexposure. Filtering waste streams generates another problem. One potential exposure point occurs when workers replace contaminated filters. In addition, if the filters are air-dried, there is a greater risk of particulate exposure once the collected material dries. Also, workers' potential exposures include the volatile chemicals offgassing from an overloaded filter. For that matter, any particulate matter, with the exception of reactive metals, when kept damp with water, should pose little inhalation risk. Where feasible, all solid hazardous material should be kept damp. When mixing substances that may splatter, splash, spray, boil over, or produce heat, shielding is the first control priority for worker protection. If pressurized air or steam is used, as in sparging, engineering controls must be used to prevent excess air or steam that may induce a violent reaction. When the engineer lays out the controls for a process, he must locate them so that the employee will not be exposed to or come into contact with a hazardous substance. If the substance is a liquid, care must be taken to ensure that no employee will be exposed to liquid accidentally released from gauges or other measuring instruments that may be under pressure. A variety of airborne agents result in occupational asthma. These include plant matter, animal products, and organic chemicals. The chemicals thought to produce an immune-type asthmatic response that may be presenting hazardous waste include formaldehyde, urea, and ethylenedi-amine . Chemicals known to be respiratory tract irritants and that cause or contribute to asthma include ammonia, chlorine, sulfur dioxide, and hydrochloric acid. Ionizing radiation at a remediation site may be a significant health hazard owing to its poor warning properties and nonspecificity of target organ. Radioactive waste on abatement sites must be located and identified, and all unknown materials discovered at a site must be surveyed for radioactivity. Then the engineer should draw a plot plan that identifies all radioactive sources by zones indicating the degree of hazard. Some hazardous waste sites that may have radioactive materials present are those with wastes from hospitals and dental offices, petroleum production pipe scale, or certain types of petroleum distillation scale and sludge, nuclear test sites, nuclear power generators, and some types of instrument manufacturers , Instruments that have employed radioactive sources include television sets, smoke detectors, electron-microscopes, and luminous painted dials. The survey meters most commonly used are scintillation counters and Geiger-Muller counters, both of which detect beta and gamma rays, and alpha counters for alpha particles. Airborne alpha particle emitters pose inhalation and ingestion hazards but less of an external (i.e., skin) hazard. Beta rays, X-rays, and gamma rays may cause internal injury from external exposure because of their penetrating power. The actual health effects due to radiation exposure depend on the quality factor, i.e., penetrating and linear energy transfer, of the source. Different sources, for example, beta or alpha emitters, have different quality factors and hence different degrees of health hazard for a given route of exposure. The dose equivalent of radiation, or the absorbed dose multiplied by the quality factor and other modifying factors, expresses the irradiation that directly causes the adverse health effects , When prioritizing risk from radiation exposure to design protective measures, the dose equivalent should be used because it expresses the absorbed dose on a common scale. Shielding radiation sources from workers is one way to reduce or eliminate exposure. However, the type of radiation must be known because alpha and beta particles interact with the shield differently. Beta particles that strike other atoms, have a portion of their energy converted into X-rays, which are more penetrating . A shield for high-energy beta emitters should be of medium density, i.e., water, plastic, or aluminum, to reduce the production of X-rays. It is possible for an engineer to design a shield specifically for that emitter's energy and to successfully prevent most radiation exposure. On the other hand, gamma rays have no charge and therefore pass easily through matter, being stopped only by chance encounters with electrons. Gamma ray shielding calls for dense material such as lead or leaded glass. However, some portion of a large source of gamma photons will penetrate shielding, and the key to shielding is to reduce the concentration penetrating to an acceptable level. On the other hand, alpha particles usually do not require shielding because of their short penetrating power in any material. However, inhaled or ingested alpha particles pose a high risk of cancer. If engineering controls fail to protect workers from inhaling alpha particles, workers must wear respirators equipped with high-efficiency particulate (HEPA) cartridges whose efficiency for 0.3-fxm aerodynamic diameter particles is 99.97%. Ionizing radiation at high dose rates has caused cancer, pulmonary fibrosis, and pneumonitis . Low dose rates may lead to adverse effects on cell reproduction, and cells that undergo mitosis frequently, such as bone marrow cells, sperm cells, and oocytes, are more susceptible to adverse effects than long-lived cells. One indicator of radiation exposure at moderate dose rates, i.e., 25 rem (radiation equivalent, man) is the frequency of chromosome aberrations in the lymphocytes of human peripheral blood. Acute effects may be observed at absorbed doses as low as 50 rad (radiation absorbed dose) if exposures occur rapidly, for example, at several rad per hour. Typically, by the time the adverse health effects occur, it is too late for medical intervention. Vibration of any dry material will generate some dust. The quantity of dust generated depends on how dry the material is and on how much force is applied in vibrating, cutting, or sanding the material. Invisible particles may penetrate deep into the lung to the alveoli and may remain there for a considerable length of time. The majority of these particles are less than 5 jtm in aerodynamic diameter. Fumes are solid particles having particle diameters of less than 1 p.m, and they may remain airborne, and hence in the worker's breathing zone, for hours. These fumes may increase in concentration in the breathing zone throughout the day unless there is adequate dilution ventilation. The potential health hazard posed by dusts or mists depends not only on the mass concentration but also on the particle size. Because not all dust clouds contain the same size particles, there are two indices for dust concentrations, total and respirable. The total dust concentration is the mass of dust collected on a filter divided by the volume of air sampled. However, the respirable dust index represents the concentration of dust that can penetrate through the nose and trachea to the alveoli. This index is the fraction of the total respirable particles that pass through an aerodynamic size-selective sampler. For a thorough analysis of the hazard potential of a specific dust source, the engineer measures the size distribution using a size-selective sampler, which collects particles in specific size ranges and therefore allows the industrial hygienist to determine the percentage of the total dust that is respirable and other peramaters. Given two identical dust concentrations, the greater potential health hazard lies with the concentration consisting of a larger quantity of smaller aerodynamic diameters. The health hazard may be greater if the dust contains crystalline silica, metals, or organics that have absorbed onto the dust. For instance, charcoal used to absorb organics poses a greater risk than clean activated charcoal. Also, one must be careful when handling dusts that may contain low percentages of heavy metals. There exists a risk of workers taking the metal-laden dust home with them, thereby exposing children and other adults to the hazard. Good personal hygiene, including after-work showering and the use of disposable coveralls, should reduce the risk of taking toxins home. There are two forms of silica, crystalline and amorphous silica, and they differ in their toxicity. Amorphous silica is similar to the sand on beaches, in cement, and in ordinary soil and has a relatively low toxicity. Crystalline silica has a different molecular structure and is more toxic via inhalation. Crystalline silica may be formed by heating amorphous silicates such as kawool wool. Silica that has been heated above 1400° for a considerable length of time forms crystalline silica in varying percentages. However, there is some evidence that heating to higher temperatures produces amorphous silica, which is much less toxic than crystalline silica . Crystalline silica causes chronic silicosis, a disease that usually occurs in the upper lobes of the lungs from long-term exposure to low concentrations. Short-term, extremely high concentrations from work such as sand blasting have caused acute silicosis. Unlike typical silicosis, which develops into measurable health effects years later, acute silicosis may be diagnosed within 6 months to 2 years after exposure. The adverse health effects are similar for acute and chronic silicosis. When handling a mixture of crystalline silica and amorphous silica, one must adjust the exposure limit to account for the proportion of crystalline silica in the dust. The greater the percentage of crystalline silica, the lower the concentration that may cause adverse health effects, and therefore the lower the exposure limit. Crystalline silica is not usually found in most typical earthen materials such as diatoma-ceous earth. However, when diatomaceous earth is heated to remove organic material such as absorbed hydrocarbons, crystalline silica forms. It is considered fibrogenic and may lead to silicosis. Furnaces lined with fire brick made of silica have the potential for crystalline silica exposures. The same is true of any refractory lining material in kilns or thermal oxidation chambers. When the temperature of refractory ceramic fiber insulation rises, such as in an incinerator, furnace, or heat exchanger, some percentage of the insulation converts from amorphous to crystalline silica. Thus, when workers must enter equipment that was heated to above about 1400° for any length of time, they must take precautions to reduce their exposure to dust. This can be done by wetting, isolating, or ventilating the material. In addition to dust from silica, workers must avoid exposure to wood dusts, especially wood treated with fungicides or bactericides. Ordinary wood dust has been associated with asthma in some susceptible workers. These woods include oak, mahogany, California redwood, and Western red cedar . Inhaled wood impregnated with fungicides or other organics may pose a health hazard greater than the hazard for wood alone. The wood dust acts as the carrier for the organic chemical, which may remain in the lungs for a long period of time. As the chemical leaches from the wood pores, the lung absorbs it, and it then enters the blood. Any abrading of wood may release particles small enough to penetrate to the alveoli and remain there. When designing crushing processes, one must always consider the combustible hazard potential and the associated control measures required by OSHA. If the concentration of a flammable or combustible liquid or powder has the potential to reach 25% of its lower explosive limit, then specific control measures are designed into the process. First, there must be no source of ignition, and the potential for static charges must be eliminated by bonding and grounding all equipment. This includes all machines, air hoses, cleaning systems, and air nozzles. In addition, equipment expected to contain an explosive concentration must be designed to explode away from personnel performing normal duties. This same equipment should be ventilated by a permanently installed grounded vacuum cleaning system. The destruction of organics by catalysts poses potential health hazards due to the catalysts or dust liberated during catalyst transport. Nickel, cobalt, chromium, and vanadium catalysts may be oxidized, thus releasing gases or fumes that may cause a variety of responses including res piratory disease and skin sensitization. The toxicity of metals from catalyst dust depends on the dust's lipid solubility and the rate of reaction of the toxicant in the body. Metal compounds that are lipid-soluble are more readily absorbed into the body to cause internal reactions . However, catalysts dusts that are not lipid-soluble may also lead to adverse health effects. For instance, a high concentration of nickel dust results in a skin reaction that looks like chronic eczema, i.e., redness, itching, and scaling. Typically, only the loading and unloading of catalyst from sealed reactors poses an inhalation and dermal exposure risk to catalyst dust. A vacuum truck transfer from the reactor reduces the inhalation risk. In addition, the workers should be protected from inhalation and dermal contact by the use of supplied-air respiratory equipment and full body suits. Although there are metals in many hazardous waste streams, the potential for exposure to hazardous concentrations varies depending on the matrix. Metals may be bound in an inorganic matrix and pose little risk or exist as a fume in the oxidized state with the potential for carcinogenicity. For a specific metal, the more soluble it is in the body, the greater the toxicity. A metal is soluble in the human body only if it is in a specific oxidation state or bound to an organic molecule. When the element is bound to an alphatic hydrocarbon or nonpolar hydrocarbon, such as tetraethyllead, the potential for skin absorption is greater than if the element exists alone or is bound in a polar molecule. In some instances, its oxidation state determines to a great extent an element's toxicity in the body. For instance, hexavalent chromium is a known carcinogen, but the trivalent and divalent states cause no cancer . There are a few known potential exposure points for metal intoxication, and inhalation of metal oxides poses a health risk. Ingestion of high enough concentrations of a metal to cause an effect, although rare, may occur at sites with poor washing facilities. This is especially true for metals that tend to bioaccumulate, such as lead. Whenever lead-contaminated waste contacts the skin, the potential for ingestion exposure exists. Burning any material containing metals leads to the formation of metal oxides, which are respirable because of their small aerodynamic diameter. Incineration of metal-containing waste may generate nonhazardous fly ash, which can be recycled; however, care should be taken when handling the feed stream. 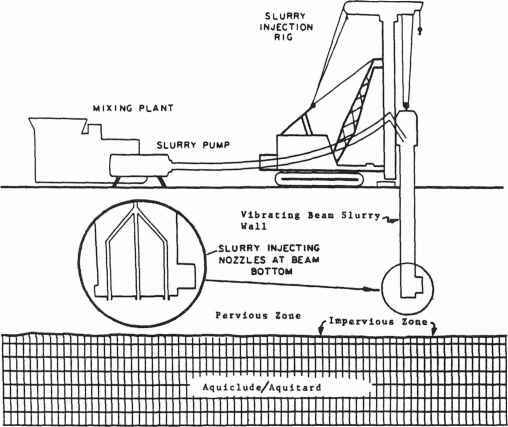 The site of transfer of the waste from the tank trucks to the incinerator and the vent openings are two potential, albeit usually insignificant, exposure points.